When Petra Hackman first arrived in Lynchburg, she was disappointed at the lack of good bread; it was nowhere to be found. Petra’s newfound skills may have been enjoyed only by her husband and five children if not for her daughter Mariel Lorraine Hackman. 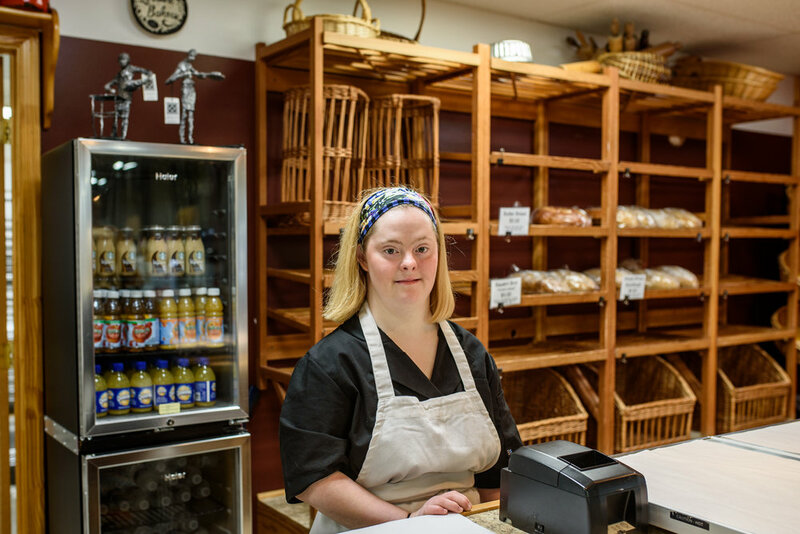 Mariel has Down Syndrome, and after her high school graduation, she had a difficult time finding work. As the Hackmans weighed their options, they realized there was something missing in Lynchburg—the reason Petra began baking her own bread in the first place—and Mariel could play a part in starting that business. The Hackmans had been regular visitors to the Lynchburg Community Market for years finding it a good place for Mariel to practice her math skills. Whatever they purchased, she handled the transaction, and the vendors were always patient and kind. So when Petra and her husband Steve started discussing how they would actually start to sell their bread, they went right to Jennifer Kennedy, the director of the market. In September 2008, they became a vendor and started selling small batches of their bread. At first, they baked a couple loaves at a time with their home oven. However, demand soon exploded, and the Hackmans began adding stoves in various parts of their house, including the basement. The work was physically taxing. “Dough had to be placed in pots to recreate an industrial oven. We’d make it all night on Fridays—up and down steps—the whole house was involved,” Petra explains. 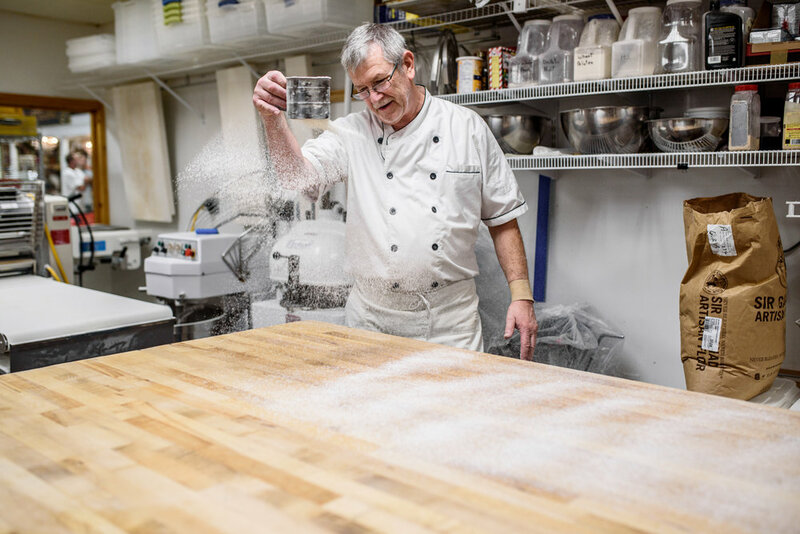 When the Hackmans knew their business—now Lorraine Bakery—had become a serious venture, they decided to attend U.S. Master Baker Jeffrey Hamelman’s school. They bought an industrial oven and opened their bakery in the Lynchburg Community Market. 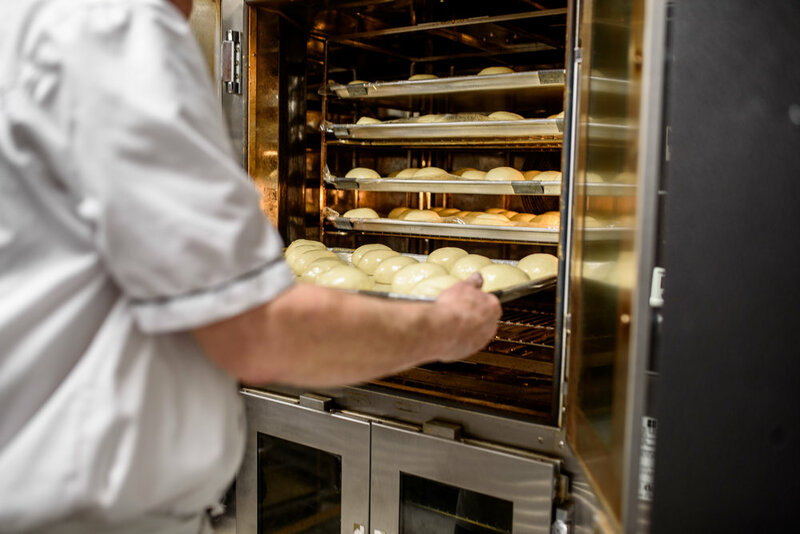 At Lorraine, the bakers begin their day at 4 a.m., starting the bread dough, preparing other goods while the dough is proofing, baking the breads, and then putting on finishing touches like icing and glazes. Lorraine Bakery now operates a triple deck French oven that can bake 54 bread loaves at one time and a Canadian pastry oven with a 12 sheet capacity. Still, on Fridays, they bake for hours to prepare for Saturday, their biggest day of the week. 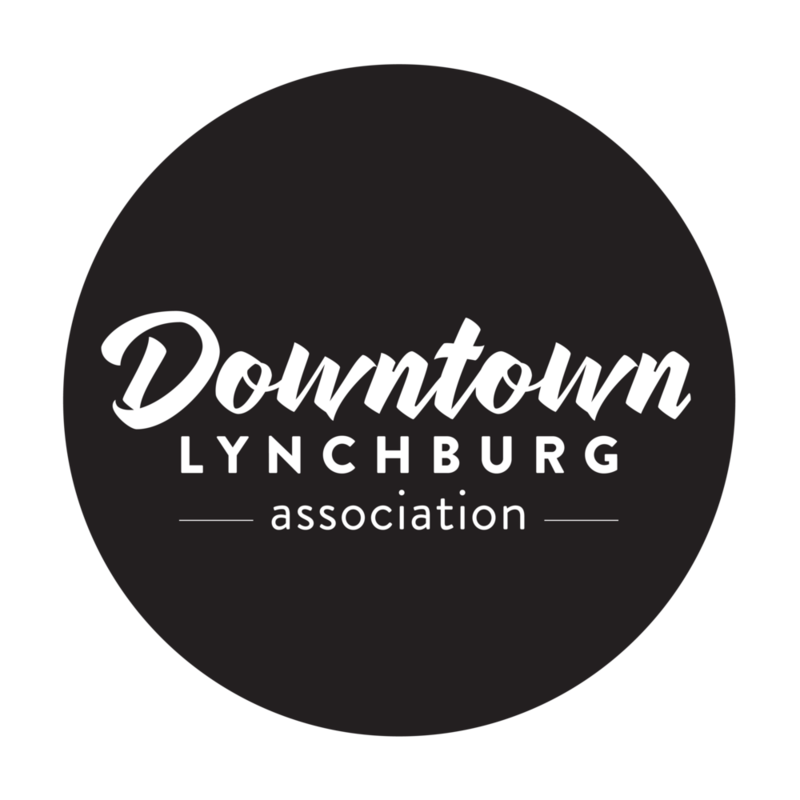 As the bakery has grown in both size and reputation, they could relocate elsewhere in the city, but Petra says the Lynchburg Community Market is and will remain their home. Lorraine Bakery is located inside of the Lynchburg Community Market at 1219 Main Street. 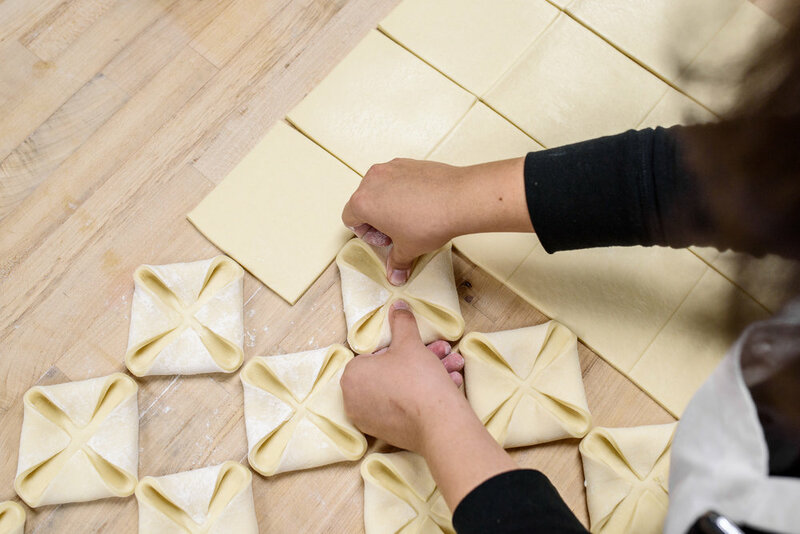 They make old-fashioned crusty breads, crepes, croissants, danishes, brioche, and many other sweet and savory baked goods. Don’t wait too long to stop by in the morning or your pastry of choice—along with many other treats—may be sold out!